As a Special Attorney General Grand Jury hears evidence of a sophisticated real estate fraud conspiracy orchestrated by convicted felon, Allen Seymour, and his alleged accomplices, my firm has filed the third lawsuit for another victim of this predatory scam. The suit, filed in Middlesex Superior Court on behalf of two Somerville homeowners, alleges that Seymour approached them with a bogus reverse mortgage plan then forged two quitclaim deeds purporting to sell their home out from under them, flipping it to well known Boston real estate investors. One of the deeds was purportedly signed by a dead woman, and the other may have been stamped with a stolen notary public seal. As a result of the lawsuits filed by my office and cooperation with the Attorney General’s office, Seymour was recently arrested in South Carolina, and was arraigned in Brookline District Court on June 18, with bail set at $2.5 Million. Seymour’s scheme is to approach elderly or naive homeowners who are in foreclosure, and offer them a “foreclosure rescue” loan or a bogus reverse mortgage. Using the alias “Richard Chase” to hide his true identity, Seymour persuades the homeowner to sign legal paperwork, then uses forged deeds and purchase contracts to flip the properties to investors, pocketing the money. The two other lawsuits involve properties in Brookline and Cambridge, where Seymour and his associates (one allegedly including a Newton Police officer) have allegedly absconded with millions of dollars in sale proceeds. We are aware of several other transactions where Seymour and his partners were involved. 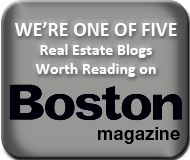 These cases are being discussed around the Greater Boston real estate bar, with several leading Massachusetts title insurance companies on the hook for insuring these fraudulent sales. If you have any information concerning Mr. Seymour or any of these transaction, please email me confidentially at rvetstein@vetsteinlawgroup.com.